This masterclass focused on the variety that’s the darling of the trade but which is sadly not loved so much by consumers: Riesling. 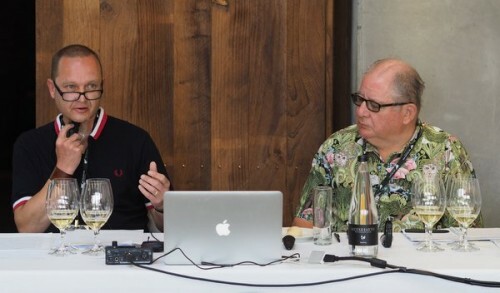 It was led by Andrew Hedley of Framingham (left), and Bob Campbell (right), leading Kiwi winewriter. 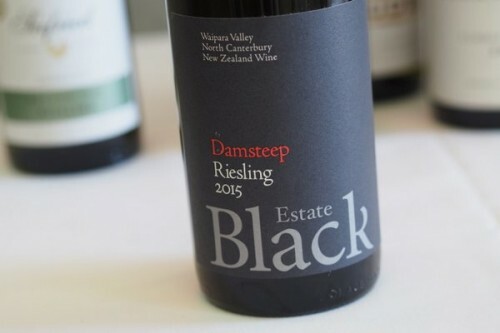 Andrew is arguably New Zealand’s leading proponent of this grape variety, and he explained the sorts of winegrowing decisions that go into producing good examples of this variety. There are 753 hectares of Riesling in New Zealand, with Marlborough (308 ha) and North Canterbury (285 ha) the key regions. 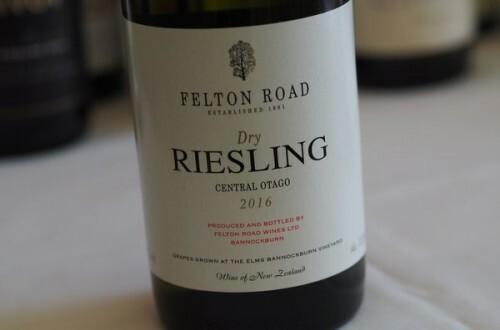 The ratio of acids in New Zealand are such that pH in the final wine can be very low, even if the total acidity is less extreme, and Andrew reckons that you can taste this. 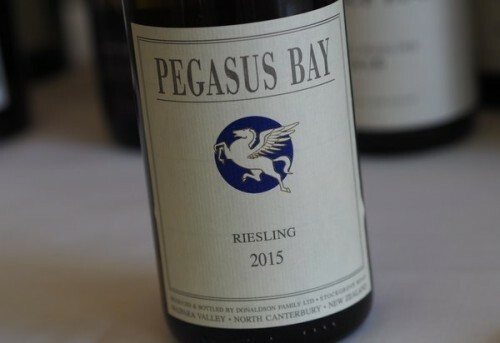 ‘You can feel pH in your mouth,’ he says, and this makes it problematic if you want to make dry Riesling: you want to avoid sweet and sour characters in the wine. So for making dry styles, which he thinks require a lot of attention to detail, dry extract and ripe phenolics are a good starting point. With German and Austrian Riesling, hang time gives a lot of the flavour, and the best wines benefit from dry extract from physiologically ripe grapes. Andrew points out that for vines, the canopy drives ripening and if you have a big canopy it drives ripening fast. So smaller canopies delay the ripening, and result in the balance being on the side of the fruit not the canopy. An alternative route to longer hang time is to load the vine up with more crop but this is risky. Another intervention that can be beneficial is leaf removal in the fruit zone, which helps manage the ripening of the phenolics. The timing of this is important. In the winery, skin contact can help moderate high acidity. You can achieve a reduction of 1 g/l by 48 h skin contact, but the down side is that the phenolics also go into the juice. Sulfur dioxide use will also alter the extraction of the phenolics and how they are oxidised in the juice. Another winemaking decision is whether or not to clarify the juice. Fermentation with grape solids can be beneficial in developing flavour, but this is a personal preference. It can help develop mouthfeel. 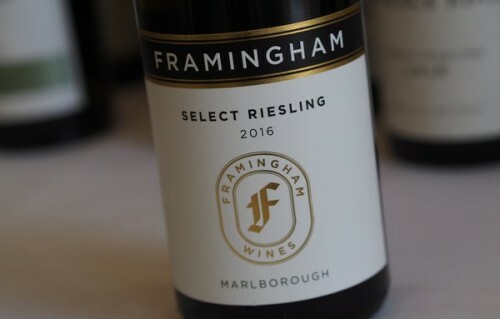 Traditionally in New Zealand Riesling ferments have been inoculated in stainless steel, and this results in pure, fruity wines. But allowing grapes to ferment spontaneously can have a lovely effect on the overall mouthfeel and aroma. There are commercial non-saccharomyces yeast available now for those who want wild ferment character without risk. The use of residual sugar is a key decision, too, and sweetness is achieved by chilling the must as fermentation slows and/or adding SO2. Then there’s the stabilization process, where interventions are made to get tartrate and protein stability. These can affect wine flavour. ‘In the new world we tend to over-stabilize our wines,’ says Andrew. Then followed three flights of Riesling.